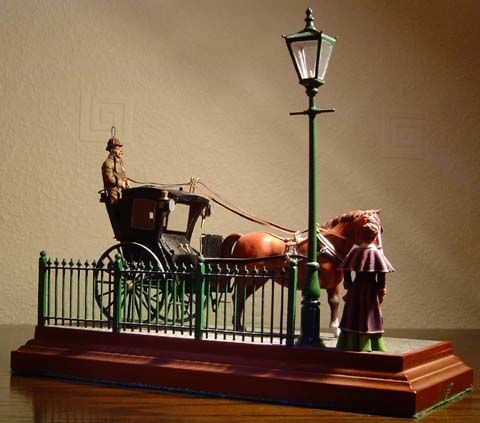 Related to my interest in Victorian London is the good old Hansom Cab - the equivalent of today's taxi cab. It's present in some of my favorite fiction, so I thought I'd do a post. 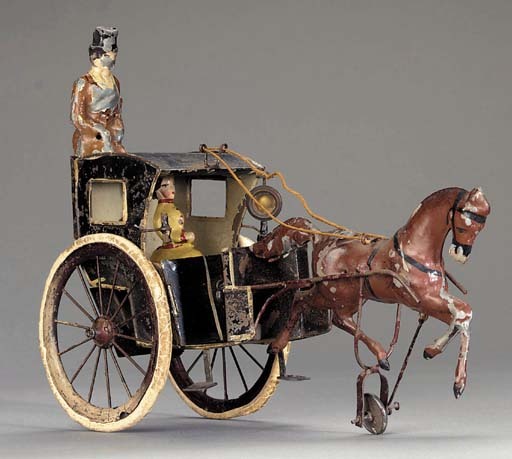 The vehicle was designed by New York architect Joseph Hansom. It was originally called the Hansom Safety Cab (doesn't roll of the tongue as nicely) and it was tested and refined in the UK where it became a standard mode of city transportation. It then spread around Europe and also to the United States. Read more here. This one above is particularly interesting. While searching the web I discovered that there is a Hansom Cab Clock Collectors Club, which is part of SherlockPeoria. 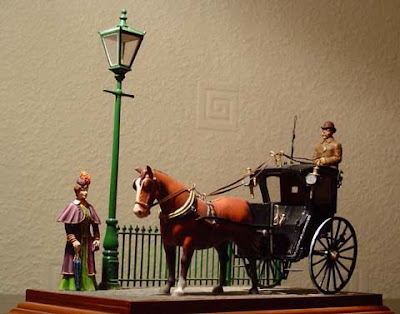 If you go to it's page you will see that the club's slogan is "Hey that clock looks like a hansom cab". Very clever. 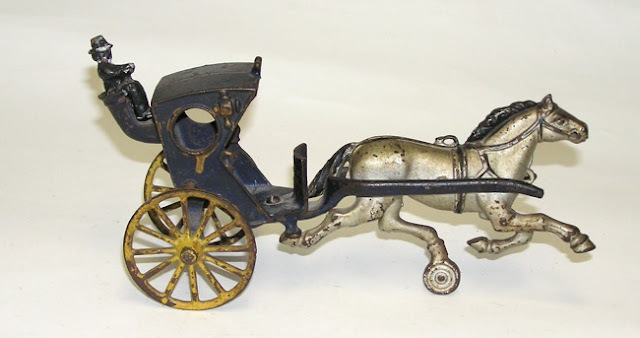 To be a member you need to have a particular hansom cab clocked purchased from the Sears catalog. 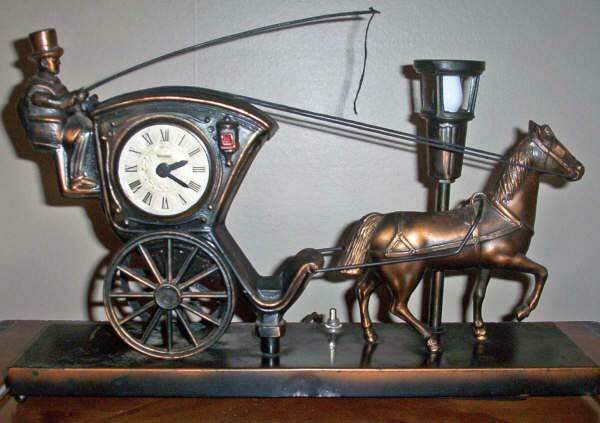 This particular photo is of a clock owned by a Mr. Vince Wright. So, collecors, if you have the clock, join the club! l like this image a lot. It's the header for the Sherlock Holmes Museum Shop in London which carries some nice merch. The museum itself is very good as well. I would think the top image toy would have the most collectors value. How much approximately would that be?